When it comes to pick-ups, GMC knows a thing or two about producing hardworking, well engineered trucks. 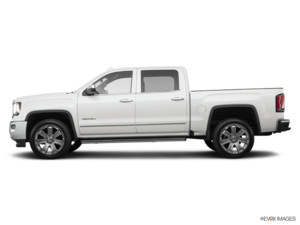 So, this latest iteration of one of their best-selling pick-up models, the Sierra, has lots on offer. We’ve put together to top things you need to know about the 2019 GMC Sierra. That’s right, this latest generation of Sierra is the biggest one yet. Wider, longer and with a slightly higher ride height, this pickup is bigger and better in a variety of ways. The larger box size, 6.5 feet, features best-in-class bed capacity at 1,784 litres. Seriously, this feature alone is almost worth the full MSRP attached to the 2019 GMC Sierra. Standard on Denali and SLT trims (and optional on lower models), this multifaceted tailgate is an engineering feat and one other truck manufacturers will surely look at in envy. What can it do exactly? Well, it can perform six different functions. It can be opened with the key fob or a button on the dash. There’s an inner gate that can be folded down to create a step (that can hold up to 375lbs), there’s also an inner load stop section that stop cargo from sliding around. And it can also be folded flat to create a work surface. Oh, and it can even slide in so you can reach farther back into the bed without the tailgate getting in the way. Genius. For the first time in the industry, the GMC Sierra can be spec’d out to feature a carbon-fibre lined bed. One of the strongest materials out there, carbon fibre isn’t just lightweight (saving on the overall weight of the truck and therefore helping with fuel mileage), but the woven material and special coating on top ensure a strong, durable surface for whatever you throw back there. You may have seen these nifty rear-view camera features in other Chevrolets or even Cadillacs, but for the first time, this nifty little bit of high-tech safety will be featured on a pickup. Essentially, the rear-view mirror becomes a screen, which features the camera feed from the rear. It’s hugely practical when you have a vehicle as large as a GMC Sierra. 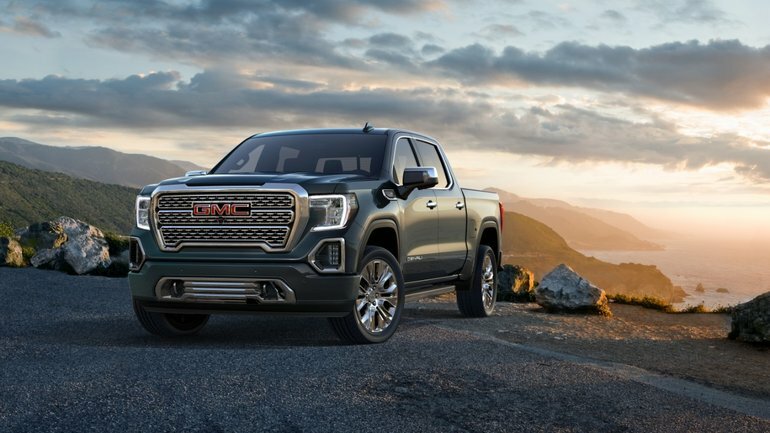 There’s definitely much more you need to know about the 2019 GMC Sierra, so you should head down to your local Surgenor GM to get all the details and information from one of our experts. And don’t forget to book a test drive, too.